Freeride bus is chasing the best conditions available at the time. It is a very flexible program; our IFMGA mountain guide will find the best location at the moment, it can be a freeride program, ski touring or a combination of both. Catch the best snow conditions at the time. Ski touring or Freeriding. Freeride bus is chasing the best conditions available at the time. 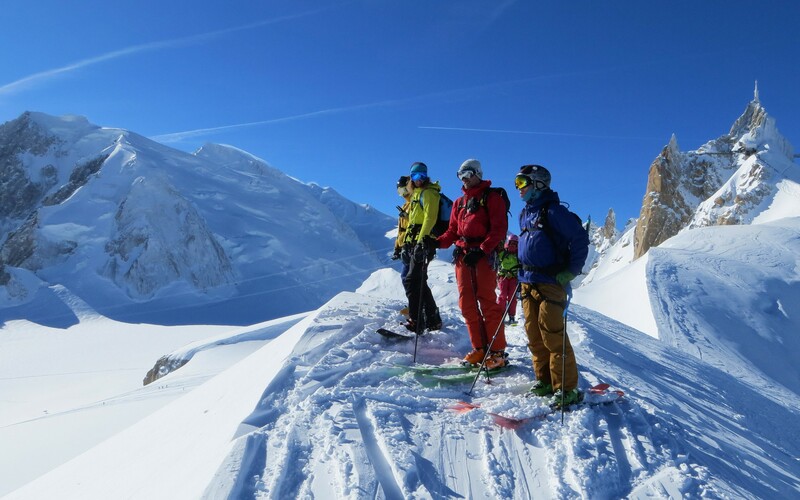 It is a very flexible program; our IFMGA mountain guide will find the best location at the moment, it can be a freeride program, ski touring or a combination of both. You can join us or hire “The Bus” for you and your friends for one day, a weekend or even a week. Our bus is usually starting from Bled Slovenia, which has a great location, accessing different terrains in Austria , Italy and Slovenia within 2h drive or less. The Balkans and even Chamonix are just a few hours away making it possible to drive there for the weekend or spend the week chasing best snow at the time. We have two different levels; entry and expert. Entry level: you need to be a solid on piste skier, including black runs on any kind of snow, soft or icy, but you don't need to have backcountry or ski touring experiences. Expert level: it is suitable for skiers with previous backcountry skiing skills, but don't need to be an extreme steep skier or a mountaineer. You have to easily ski tour for 1200 vertical meters and ski any kind of snow up to 45°. Send us in inquiry and we will make this program fit your abilities and wishes!